The parishioners of St. Anne Catholic Church in Pleasant Prairie, Wisc. witnessed and celebrated the installation of a new and lighted 12-foot high cross, which was installed on top of an 18 foot spire. The cross reaches 90 feet above ground. The cross, which includes LED lighting, was designed and built by Jeff Hojnacki of Ascend Designs, Muskego, Wisc. Archbishop Jerome Listecki led the ceremony, assisted by the pastor of St. Anne, Fr. Bob Weighner. The Archbishop was raised in a 135 foot lift to bless the cross. 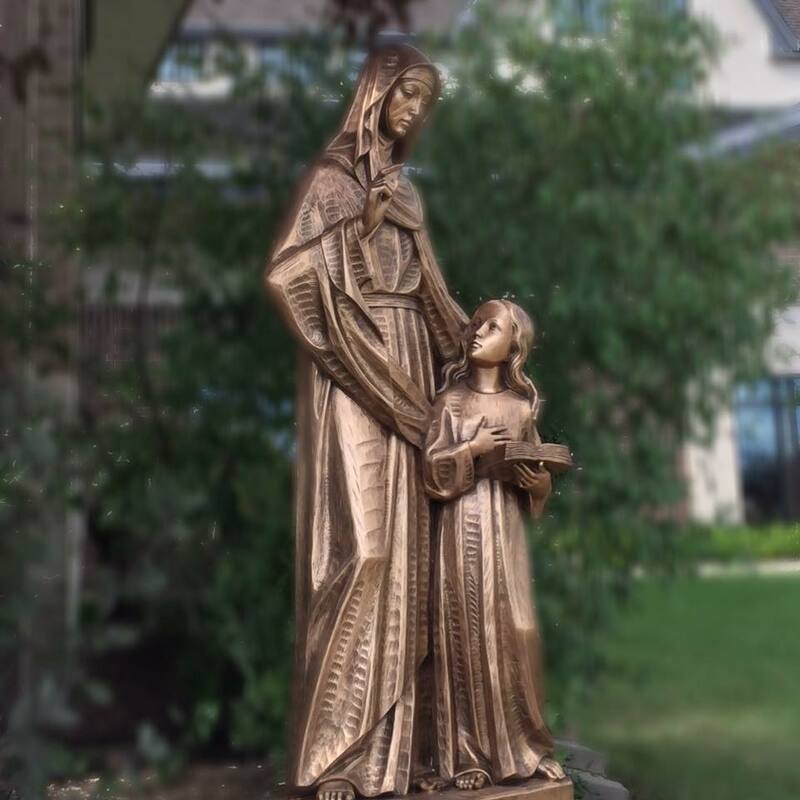 He also blessed a new statue of St. Anne, which is a part of a new grotto at the entrance of the church. This new cross is the next step in completing the construction of this church building. The cross represents the Savior who has been lifted up for us – it holds great significance for Christians.